As New Year is just around the corner, anticipations for the next year are being rolled out. Speculators are wondering which companies of the 30 Dow Jones Industrial Average (DJIA) will lead the market into the next year and sustain a position. After a lot of fluctuation in the oil and gas market, the once best performers Exxon Mobil Corp (NYSE:XOM) and Chevron Corp (NYSE:CVX) are under doubt if they will be able to produce similar result again. Speculators at Wall Street started their guessing game long before 2015 even begins, what would it take for the two oil giants to top the list. This research goes much deeper into the issue then just coming to a conclusion through random guesses. The thing with DJIA stocks is that it fluctuates with sentiments, too high when they are good and too low when they are negative. So what are the sentiments surrounding these two big oil giants. At last Monday’s closing, Chevron (NYSE:CVX) was the second worst for DJIA stocks with a return below -7.3%. On the other hand Exxon (NYSE:XOM) stood third in line of worst performing Dow stock for 2014. Its loss tipping at almost 6.2%. Speculators still had a much better picture predicted for the two, with Exxon (NYSE:XOM) loss at 4% and Chevron (NYSE:CVX) gain of at least 6%. At this stage, next year’s predictions are yet unstable. It seems the oil patch has to fall even further down before the recovery stage even begins and leads it up to a profit earning stage. It drop from $100 to $65 is quite bad. 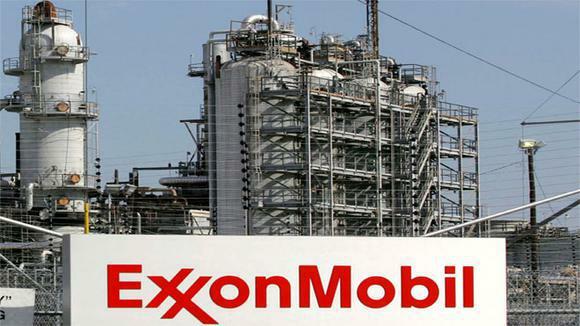 Another element to be taken into consideration that bother Exxon (NYSE:XOM) and Chevron (NYSE:CVX) are market leaders with $600 billion in combined market capitalization even after the recent setback. Hence, both have the power to seek out better opportunities in these troubled times. Both companies also have a standard to maintain, for example ever though Exxon (NYSE:XOM)’s dividend for the year rounds up to $2.76 EPS but its Thomas Reuters prediction is set at $7.59 EPS for this year and $6.58 for 2015. Similarly Chevron (NYSE:CVX)’s divided is $4.28 for the year with estimates set as high as $10.08 EPS for 2014, and $9.14 for 2015. This could actually tempt the companies to lower their spending further and use that money for stock buybacks. But on the other hand one might think that maybe the bad news it yet to come. Exxon (NYSE:XOM)’s shares trade at $92.40, against a 52 week, ranging between $86.91 and $104.76, with the consensus price target of $100.44. The company’s dividend yield for now is 3.0%, with chances of growth. Whereas Chevron (NYSE:CVX) trades are at $111, with the 52 week range of $106.65 to $135.10 and the consensus price set rising above $130. Its dividend yield is 3.9%. Companies all around are responding differently to these predictions. Some are lowering their targets while some still have hopes set on them being the high yield dividends for 2015.